He may have been one of the top five most frequently photographed human beings. He certainly was that when he was active in his career. The answer to the potential trivia question, “Who took the final formal photographs of Muhammad Ali?” is Zenon Texeira, a young British photographer who was sent by The Daily Mail to Ali’s home in Scottsdale, Arizona, in March. 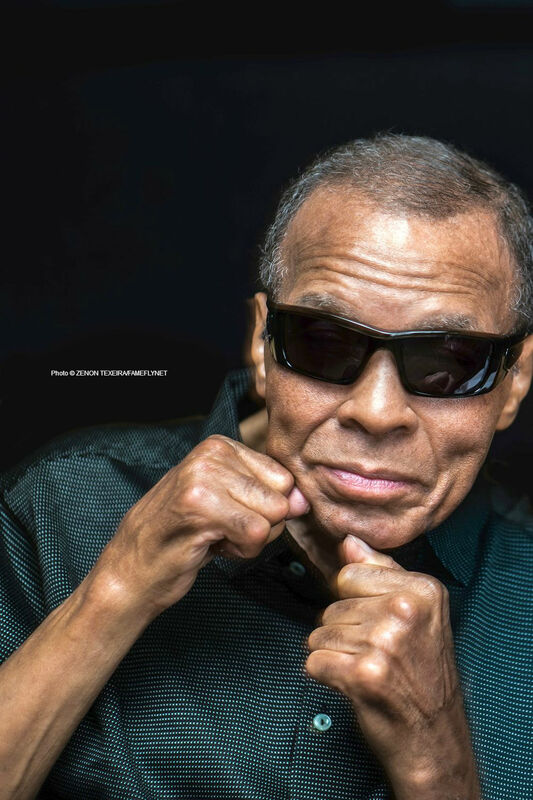 Ali and his family welcomed him into their home, and Ali sat for a 45-minute photo shoot. His skin glistens and he is meticulously groomed with cool dark sunglasses hiding his eyes. He is helped into an armchair and it’s clear to see how fragile this man has become. However, I am told that even though he may not respond he understands every word. I do what I have to do and 45 minutes later wrap the shoot, over the moon with what I have captured. I hold his hand, thank him, tell him that I’ll pray for him and kiss his forehead as I say goodbye. Muhammad was a delight to photograph. Muhammad Ali in March 2016. Click for full size.